The Applied Hand Winch Lifts have been a mainstay of our product line for more than 30 years. These lifts are the backbone of the production and live event industries where time and budget are a priority. When combined with adaptors and accessories, The Applied Hand Winch Lifts are ideal for lighting and sound support. 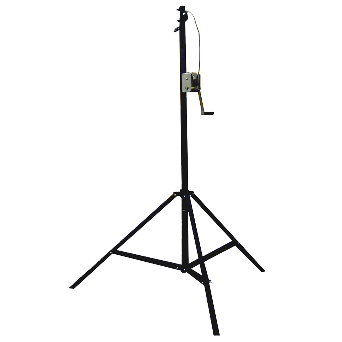 The Applied L-16 Series Hand Winch Lifts are ideal for lighting and sound support for small set-ups or where budget and time are a top priority. Quick and easy to setup coupled with load limits of 500 lbs, the Applied L-16 Hand Winch Lifts are a must-have for any production or rental house. 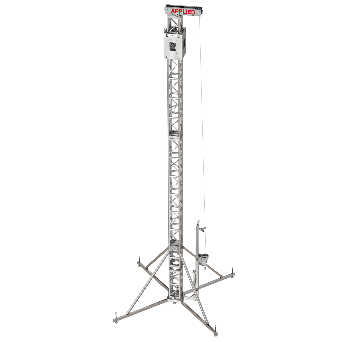 The Applied L-11 & L-13 Hand Winch Lifts feature all steel construction, with load limits of up to 200 lbs. These smaller hand winch lifts have folding trifold legs and can conveniently ship via UPS. 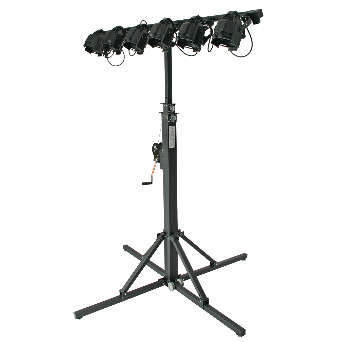 The Applied L-11 & L-13 Hand Winch Lifts are a must-have for any production or rental house. 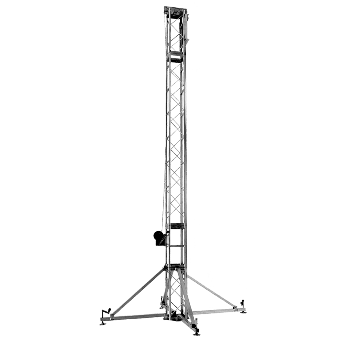 The light duty GS Winch Tower base is equipped with a heavy-duty hand winch and utilizes our standard 12” Tower Truss and offset head block combined with a four-sided sleeve block drilled for 12” x 18” Heavy Duty Box Truss. The perfect solution for flying a video wall. 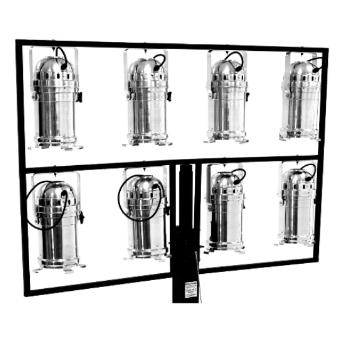 Applied offers a full range of Winch Lift accessories and lighting, sound or truss adapters. If Applied stock products do not suit your application, let our team work with you to design and build a custom piece of gear for your production needs.